While most of the gaming news this week has centred on the launch of both the Xbox One (this Friday) and the PS4 (released already Stateside), there have been one or two tidbits that me be of some interest to fans of Vault-Tec and Bobbleheads. Eagle-eyed contributors to the Fallout fan site, The Vault, have spotted that a Fallout 4 trademark has been filed by Bethesda on the Office Of Harmonization for the Internal Market (OHIM). For those who don't know, the OHIM governs trademarks in Europe and has become a handy site for gamers sniffing around for clues as to whether video games they desperately want made are a going concern. Adding further grist to the Fallout 4 speculation mill, gaming website Inc Gamers has spotted a website that may be a teaser for the game. 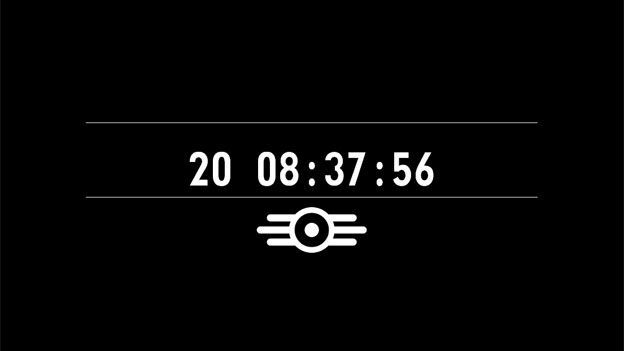 The site, thesurvivor2099.com, shows a countdown, a Vault-Tec logo and emits a repeating morse code message. As Inc Gamer pointed out, some of the forum posters on the Fallout subreddit have already de-coded the message. It apparently reads "CQ CQ CQ DE OZ PSE AS", which translate as a distress call from OZ (Oscar Zulu) one of the stations in Fallout 3. Bethesda has stonewalled any calls for confirmation about either the Fallout 4 trademark or the teaser website, but they've not issued any denials either. The next instalment of the classic post-apocalyptic RPG is almost upon us, and it's going to be one hell of an adventure.